Leben Nelson Moro is Director of International and Alumni Affairs at the University of Juba, and teaches graduate courses in the areas of development, conflict, forced migration and humanitarian affairs at the University’s Center for Peace and Development Studies. He received a Master of Public Administration at the American University in Cairo, Egypt, and Master of Science in Forced Migration and Doctor of Philosophy in Development Studies at University of Oxford, UK. He primarily conducts research on development-induced displacement and resettlement, focusing on oil, conflict, and displacement in South Sudan. 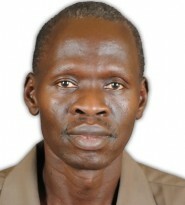 He has conducted fieldwork in South Sudan, Egypt, Uganda, and Kenya. Some of the findings of his studies appeared in the Journal of Refugee Studies, St Anthony’s International Review, Forced Migration Review, New Internationalist, and Pambazuka News.